Many people (mostly women), spend a lot of money to get a beautiful skin. Because after all, the appearance of the first impression though not in the real sense. Nutrients that contribute to a nice and smooth skin is Vitamin. That is why the majority of skin care products that contain a number of vitamins There are always high. However, more important is to get these vitamins through daily food consumption. Besides more healthy, it should be cheaper. Vitamin A: If you feel your skin starts to feel scaly and dry, most likely caused by lack of vitamin A. People who have acne problems, it is also advisable to get a lot of Vitamin A, or other forms of vitamin A. This is because Vitamin A also helps to rebuild skin tissue, as well as an important vitamin for healing due to skin damages. Patients suffering from psoriasis, it is often advisable to apply retinoids (a form of vitamin A) to regulate cell growth. Vitamin A is also an anti-aging nutrient. So if you want to hide the lines, wrinkles, dull skin and other symptoms of aging skin, the vitamin A may help. Good sources of vitamin A such as eggs, green vegetables, milk, carrots, pumpkins, hearts and much more (read foods high in Vitamin A). Vitamin E: Maybe, Vitamin E is the most well known vitamin is essential for healthy skin. This is because vitamin E is an effective antioxidant that helps fight free radicals. Free radicals can be caused by a number of factors such as smoking, pollution and sun exposure. Free radicals are one of the main causes of premature skin aging. Thus, Vitamin E becomes essential nutrients for anti-aging. 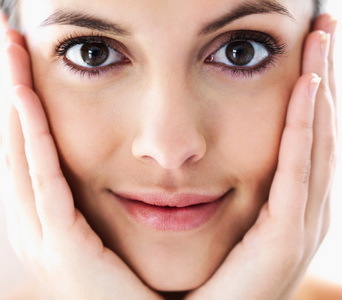 The emergence of spots, wrinkles, and lines can be reduced by applying vitamin-E rich products. Vitamin E can also be found in foods such as olive oil, sunflower seeds, peanuts, almonds, wheat germ and green vegetables (read Vitamin E rich foods). Vitamin C: As well as Vitamin E, Vitamin C is also an effective antioxidant. So this means it can also help fight the signs of aging on the skin. Vitamin C also stimulates the formation of collagen in the skin. Collagen is a protein that is responsible for making the skin supple. So if you want to maintain a smooth and youthful skin, the Vitamin C can help you. Most fruits are a good source of Vitamin C, so try to add fruit to your daily diet. Vegetables such as broccoli, cauliflower, tomatoes, cabbage and cucumber are also a good source of vitamin C (read another foods high in Vitamin C). Vitamin B Complex: Vitamin B is also important to add to your diet if you want to get healthy skin. Vitamin B1, for example, be useful to increase the body's metabolism and gives skin glow. If you are a woman taking birth control pills, then you are at risk for vitamin B1 deficiency. Egg yolks, nuts and raisins are a great source of Vitamin B1. Niacin or Vitamin B3 helps the skin easily receive a lot of oxygen, which would prevent the development of acne. Foods rich in niacin are like tomatoes, broccoli and carrots.